This Stuff Won’t Budge: The Best Makeup For Your Workouts | beauty. bikes. 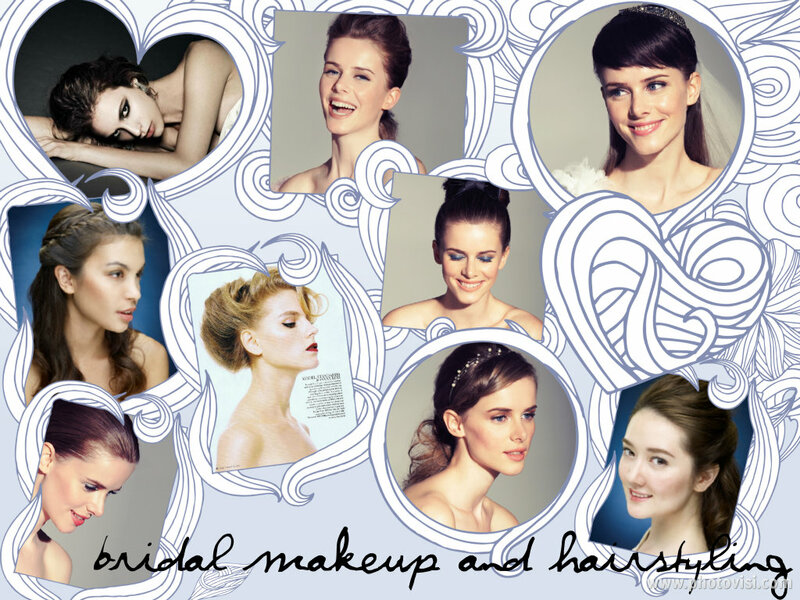 Makeup that lasts through your wedding day, tears and all? That’s a piece of cake. Ask for makeup that is going to last you through your swim, spin class and kickboxing matches? Now that’s a real challenge. Most of my friends and clients who know me will know that I go for a work out almost everyday. And no, I never wear makeup on my hill rides and laps in the pool. If there’s gonna be a cute guy there, I sure as hell don’t want to look like a sweaty mess. At least I will look like a sweaty hot mess. Yeah! And I agree with you ladies who just can’t go out without makeup, even if it’s to the gym downstairs. I know they all say “makeup will clog your pores” and even I worry about that, but sometimes you just have to put something on. Right? If you have to meet your client over golf, or play tennis with that yummy boy, you want to put your best face forward at the very least, yet not look like you’re wearing a ton of products. Here’s a quick guide to shopping for the most sports,sweat & sun-friendly products in town – tried, tested and loved. This is a personal favourite. I use it daily! 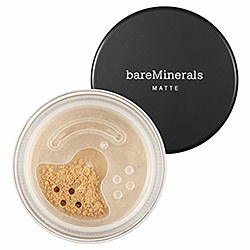 It’s a fantastically light-weight mineral foundation that keeps shine away, does not contain preservatives and helps minimise pores too. It doesn’t give you the foundation-y look, just makes your skin look great. Although this is not going to withstand your swim, it’s fantastic for your land-based sports like golf, gym, tennis and jogging. This beautiful liquid (well, not really, since it’s silicone based) to powder blush is like a cheek stain that builds up or blends out easily with your fingertips. Although it looks scarily bright in the tube, upon application you’ll find that it’s actually very sheer and really natural looking. 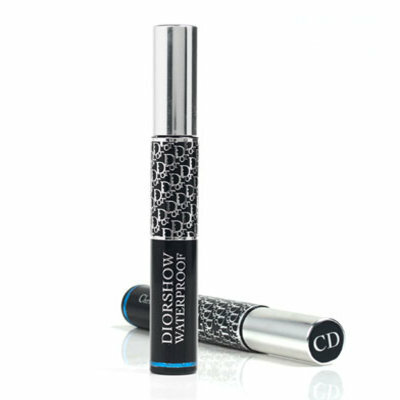 It also goes onto your lips as a matte lipstain, and it’s handy pocket size means you don’t need to look for more space to cram it into your gym bag. I know i JUST wrote about this in my last post about brows , but I am hooked onto this waterproof, long lasting eyebrow pencil and brow liquid liner. 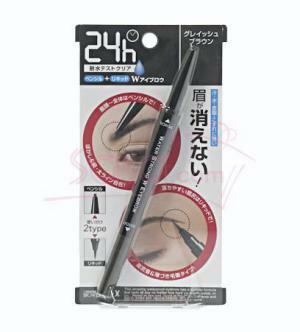 Yes, it sounds weird, but this is a double ended pencil that has a wind-up crayon on one side, so you never have to bring a sharpener with you, and a liquid liner for the ends on the brows on the other side so you get a sleek, defined brow. This WILL last you through your swim, although I haven’t tested it in the surf, but it really takes a great deal of heavy rubbing to move. I have recommeded this to ladies who go swimming in this and I’ve seen it do what it claims to do, last and last and last! It doesn’t move at all, and in so many colours, you can always get a new colour to suit your bikini. 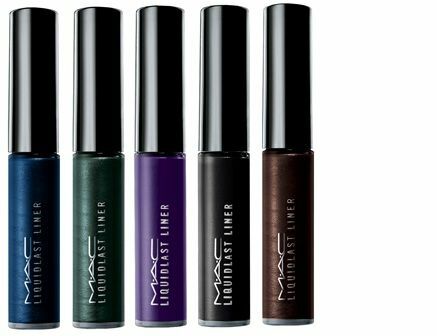 The Liquidlast Liner does last even longer than the Superslick, if you want to compare these two liquid liners from MAC. Once you get a hang of quickly blending these pencils before they dry to a waterproof finish on your eyes, you’ll love how longlasting and beautiful they are. 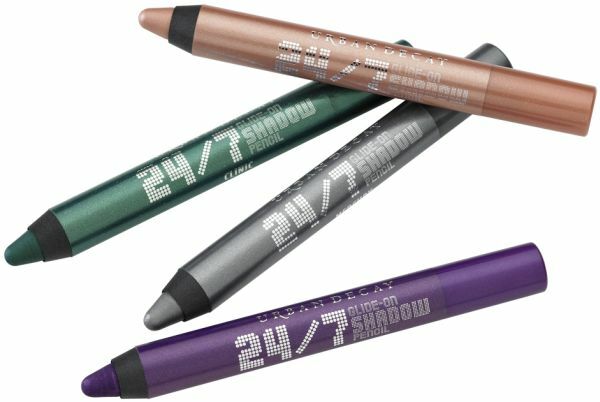 You can blend them out to a full eyeshadow, or keep them neat and defined as a pop of eyeliner. My fav is the emerald green Clinic colour, but you’ll be spoilt for choice with more than 10 shades. Ah, mascaras.. tricky tricky. With so many of them claiming to be waterproof, water-resistant, I’ve found that I always go back to relying on this classic. It gives you big, bold, va-va-voom lashes and stays put. *Quick tip: For mascaras, the trick to getting them not to smudge especially with smaller asian eyes, is to lay off the creamy concealers which once your mascara-ed lashes touch, tend to melt off and onto your lower lids. If you can, dust a light veil of powder onto your lower lash line just to help it stay matte and prevent the mascara from smudging. There’s nothing ickier than having lip gloss goo all over your lips when you’re working out, it gets on your towel, your bottle, your face.. I love lip blams and bless the genius who created coloured balms. They moisturise your lips and give a lovely hint of colour, especially great if your lips tend to turn pale when you’re gasping for breath in the cold pool or surf. 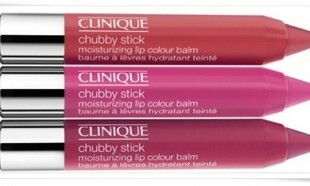 I just got my hands onto the Clinique Chubby Stick in Super Strawberry and am loving it! It’s so cute, love the way it looks like a little pencil, and the sheer touch of colour it gives, without making my lips feel oily like some balms do. It’s costs a little bit on the steeper side for a tinted balm, at S$26 it’s an indulgence you probably want to get at the duty free store. I felt like i had to include this in, because it’s no point putting all those lovely colours on if you’re not taking care of the rest of your body. 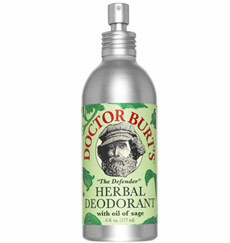 #1 Please, please remember your deodorant! It combines sage, lavander and lemon essential oils to naturally neutralise any odours, without all the harsh chems like other anti-prespiratants or deodorants. I was mortified when I trained with athletes who don’t use sunscreen while training in the hot afternoon sun at the track. You might think you don’t see the sun damage, but soon you will. I know I have, from all those holidays, workouts and generally taking my skin for granted when I was younger. Right now I use an SPF50 whenever I know I’m going to hit sun when I cycle, and I’m reminding myself to use it daily too. I started using this cream when I was having a really strange arm rash and it not only helped protect my skin from the sun, but also helped soothe the rash, thanks to it’s creamy, moisturising texture. 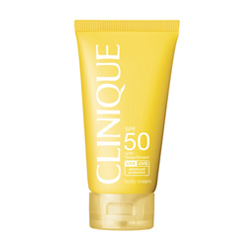 Since then I’ve continued using this sunscreen, and it’s awesome because being fragrance-free, like all Clinique products, it doesn’t have the strong smell of sunscreen. I’ve let my best friend try it recently when we went for a swim, and he (yes! a guy! wearing sunscreen!) commented that it “didn’t feel sticky”. Yay for men who use sunscreen! So, enjoy your workout, the sun, sea and the great outdoors, while knowing you ARE LOOKING HAWT!